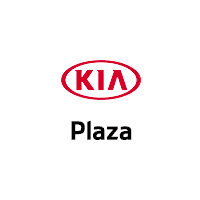 Plaza Kia invites car buyers who possess low credit scores to shop for a quality used Kia vehicle and apply for financing at our full-service dealership in Brooklyn, NY. Our dedicated finance department staff understands that even drivers with poor credit scores deserve second-chance financing. Each day, we have the pleasure of meeting drivers from Manhattan, Queens and beyond who feel uncertain about how to move forward with auto financing when they possess a less than perfect credit rating. At Plaza Kia, our dealership’s mandate is to ensure that you fully comprehend the poor credit financing process. First, you can apply for financing online, and we will answer any questions you may have. Then, we carefully review your credit application. Our secure, online auto loan application form is hassle-free and carries no obligation, so apply today! When you find the sub-prime auto loans you deserve and have decided on the size of down-payment to make, next comes the fun part: test driving a used Kia from Plaza Kia that you would like to call your own! Our dealership supplies a full stock of pre-owned automobiles and our team is here to help, so apply for financing assistance today!